At my current gig we use Trello to track tasks, bugs, agile-ish info, etc. One of the biggest issues I had was that once you have more labels than there are available colors, your labels become meaningless. So I wrote a stylish style to a) display the actual label values, and b) as a bonus, prioritize based on priority, pts and then misc. labels. A picture is worth a thousand words so…. Categories: Uncategorized | Tags: agile, css, labels, override, points, priorities, priority, pts, stylish, task board, tasks, trello | Permalink. This will only work for methods, trying to do so w/ a var will result in simply creating a ‘private’ Class-variable. Why this works is because the function gets called within the context of the class instance. Categories: Uncategorized | Tags: appleScript, link, Mac, mute, note to self, service, toggle, unmute | Permalink. Simply open your preferences (File > Settings or ctrl+alt+s) then filter by ‘frame’. 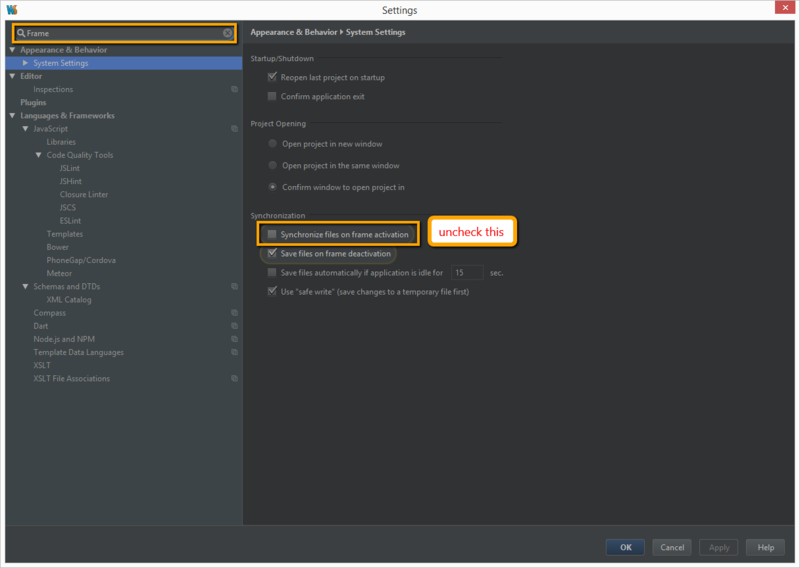 Note that if you change your project’s files from outside Webstorm, you may need to manually synchronize Webstorm’s copy. 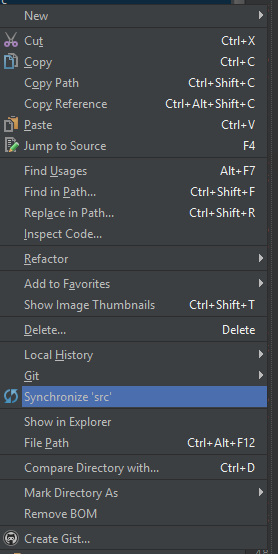 To do this, right-click on the folder in your project’s file structure and click synchronize. This only seems to occur on Windows machines due to how they access files (via some locking mechanism?). Categories: Uncategorized | Tags: alt+tab, freeze, freezes, intelliJ, jetbrains, jvm, lag, lags, performance, preferences, settings, switching, webstorm, windows | Permalink. In HTML/CSS we’re not afforded the gap style. Instead we have to approach this by using the child elements and their margin styles. I find this works with Angular’s ng-repeat directive nicely. It might be worth writing a directive to simulate Flex’s application of the gap style. Categories: Uncategorized | Tags: :first-child, :not, css, flex, gap, html, margin, margin-top | Permalink. I’m not entirely sure why certain keys on a keyboard fire keydown but not keyup, some fire keypress while others don’t and then in the backspace’s case, it only fires on keyup. Nevertheless I found myself in need of triggering action on backspace.